Offering a detection range of up to 380 yards in pure darkness, the Signal N320RT is a digital night vision monocular designed for scanning and scouting. 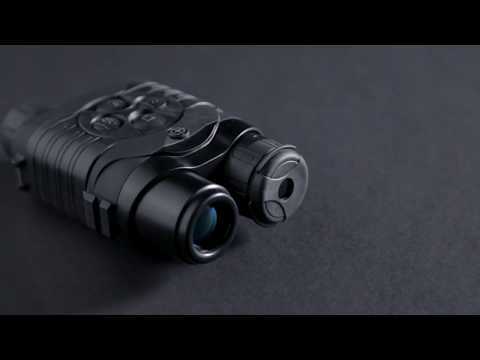 Whether being used for hunting, wildlife observation or security and surveillance, the Signal’s high-resolution 640x480 CMOS sensor, 640x480 LCD display and built-in 850nm LED IR illuminator provide unrivaled night time performance. This advanced device features built-in video recording with sound and connects to smart phones via the Stream Vision app, allowing users to remote view/control the Signal and stream videos directly to YouTube with 8 Gb of internal memory. The Signal N320RT is able to stretch magnification to an incredible 9x due to a 2x digital zoom feature. Other useful features include bright light exposure resistance technology, front focus objective lens, an attached Weaver rail for additional accessories and an intuitive easy-to-use interface. The Signal N320RT 4.5x30 includes a carrying case, user manual, USB cable, neck strap and lens cloth.